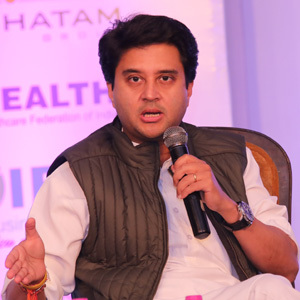 Jyotiraditya Madhavrao Scindia, is a Member of Parliament representing the Guna constituency of Madhya Pradesh in the 16th Lok Sabha. A member of the Congress party, he has earlier headed the Union Ministry of Power as Minister of State. He graduated in Economics in 1993 from the Harvard University and completed his M.B.A. in 2001 from the Stanford Graduate School of Business.